More than 100 people last Sunday volunteered to participate in a big coastal cleanup which was held at L-Irdum tal-Madonna on the last day of the Valletta Green Festival which came to a close on the same day in Valletta. The event at L-Aħrax tal-Mellieħa formed part of the same festival which was organised by the Valletta 2018 Foundation and the clean-up was coordinated by Żibel Malta together with several other eNGOs and organisations such as BirdLife Malta which was represented by its LIFE Arċipelagu Garnija project team. Other NGOs which participated included Fish4tomorrow, Sharklab, Friends of the Earth Malta and the Professional Diving Schools Association Malta (PDSA). The Federation for Hunting and Conservation (FKNK) was present too, with its members also contributing for this noble cause. L-Irdum tal-Madonna is one of Malta’s richest Natura 2000 protected sites. These sites contain the most threatened habitats and species in Europe and there are more than 26,000 such sites across the continent covering 18% of Europe and surrounding areas. This particular site in Mellieħa is mainly protected because it holds the main Yelkouan Shearwater colony in the Maltese Islands. 500 pairs of this endemic Mediterranean seabird breed in these cliffs. BirdLife Malta has been working intensively in this colony for the past 10 years to improve the conservation status of this species, currently with the LIFE Arċipelagu Garnija project. One of the major threats to these birds is the predation of chicks and eggs by rats. During the breeding season, from February to July, a rat control program takes place to reduce rat predation in the colony. The clean-up had the aim to collect all rubbish left in the area, as this a big source of food that leads to a high rat population in the area. The project aims to increase awareness amongst those visiting and camping in the area to collect their waste and bring back home their rubbish bags after camping on site, instead of leaving them behind. 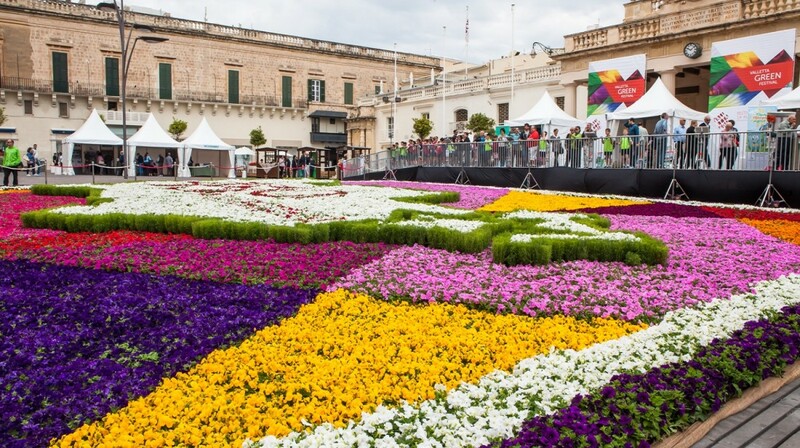 Apart from this clean-up, BirdLife Malta also participated actively in the week-long Valletta Green Festival 2017 with a stand throughout the festival at St George’s Square in Valletta aiming to increase awareness on marine pollution and the impact of waste littering.